Fortnite has always had a rocky relationship with vehicles. From Driftboards to Ballers, the folks at Epic Games have never had a shortage of wacky ideas for vehicular traversal of Battle Island, though, more often than not, it’s struggled to strike the right balance between useless and grossly overpowered. The aforementioned Baller, in particular, has undergone several changes since its introduction during Season 8, with Epic at one point forced to disable the spherical mode of transport completely in order to fix several issues. Several further tweaks have been made since its reintroduction following fan feedback, though that’s no guarantee that it’ll stick around. Poorly-received, imbalanced or otherwise problematic vehicles or weapons in Fortnite have often been whisked away to the dreaded Vault for a cooling off period, where they have the potential to return down the line. 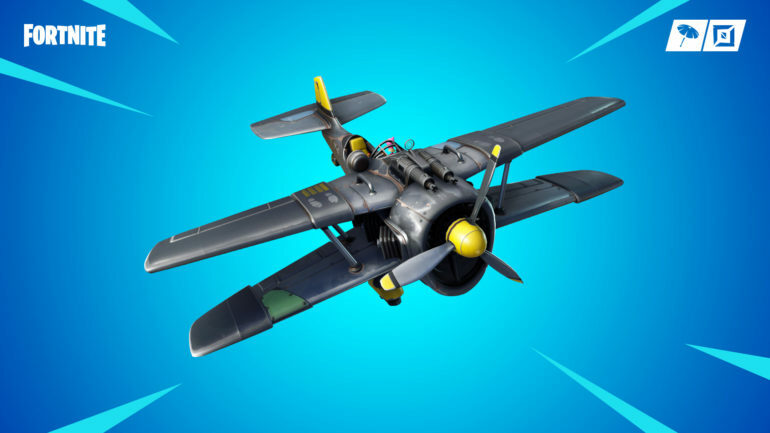 In regards to today’s latest leaks, it’s the latter scenario that appears to be happening soon, marking the triumphant return of Fortnite‘s X-4 Stormwing. First introduced in Season 7, the battle planes (pictured above), near-instantly drew criticism for their uncounterable nature, often times allowing pilots to go uncontested for entire matches by simply hiding among the clouds. Despite that, new files discovered by Data Miner HYPEX suggest Epic plans to bring the aerial vehicle back in Season 8, though not without restriction. This time around, the X-4 will be barred from appearing in any of Fortnite‘s standard or competitive modes and instead be part of an upcoming Limited-Time Mode. The rumor fits in nicely with Epic’s recent LTM-focused Buccaneer’s Bounty campaign kickstarted with patch v8.30, so fans can likely expect the vehicle to make its return soon. As for any other potential changes Epic plans to make, previous leaks indicate that perpetual flight will no longer be possible. To level the playing field, pilots will be required to periodically return to ground for a pit-stop re-fueling session. See here for all the relevant details.